Advice lines providing free and confidential legal advice to women on family law, criminal law, immigration and asylum. See website for more details and opening times. Have you received an unfair sentence? The Centre for Criminal Appeals is a charity law firm that may be able to help. 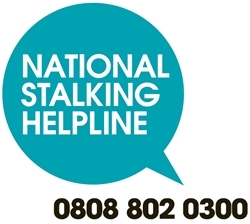 The national Lesbian, Gay, Bisexual and Trans* (LGBT) Domestic Violence Helpline run by Galop, the leading LGBT anti-violence and abuse charity. Galop has been working for 33 years to support LGBT victims of abuse, violence and discrimination through a variety of services, including a helpline and as the lead partner of The Domestic Abuse Partnership which is the only specialist multi-agency community response to LGBT Domestic abuse. Holistic services BME women. Providing general and specialist advice on issues such as domestic violence, forced marriage, honour killings and their intersection with immigration and asylum matters, welfare rights, homelessness and poverty. A UK charity raising awareness of economic abuse and committed to building the capacity of those who come into contact with victims and survivors of economic abuse to respond. We do this through sharing expert knowledge and developing useful tools and resources. We work with partner organisations to implement innovative responses. We also identify and share best practice and research.